Located just outside the Melbourne CBD, our team aim at giving the best professional care across a range of TMJ related issues. 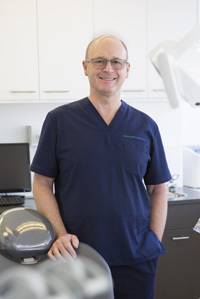 Dr Robert Harper has been a Dentist since graduating from Melbourne University in 1976. It has become apparent in this time that many more people are suffering from Tempomandibular Disorder due to many different factors. It is certainly an area in which Dentistry has changed rapidly. It is estimated that 1 in 10 people suffer TMJ Disorder or TMD. Dr Harper is highly skilled in identifying the early signs and symptoms in sufferers and is able to get them on the road to relief and recovery. Through working with his skilled and qualified team, they offer a range of services using the latest products and technologies at his TMJ relief clinic in Bridge Road, Richmond. Dr Harper’s passion is to have the latest technology and a well-designed, hygienic and joyful environment to work in and be supported by talented and caring staff. He has worked in regional Victoria at Portland as well as in the heart of Melbourne’s CBD in Swanston Street. A move to Richmond Fine Dentistry – a state of the art surgery designed with excellent dentistry in mind is now linked with the TMJ Relief Clinic. As a highly dedicated Dentist, he’s a regular participant in Continuing Professional Development, including the Seattle Study Club. Constant education is necessary to keep abreast of the rapid changes in Dentistry and whole body health relating to air ways, diet and the mechanics of Dentistry. When he’s not working he loves spending time with his family, cooking and pursing photography. Dr Harper’s level of enthusiasm for all things dentistry is continually growing and he is very proud to add the TMJ Relief Clinic to Richmond Fine Dentistry.